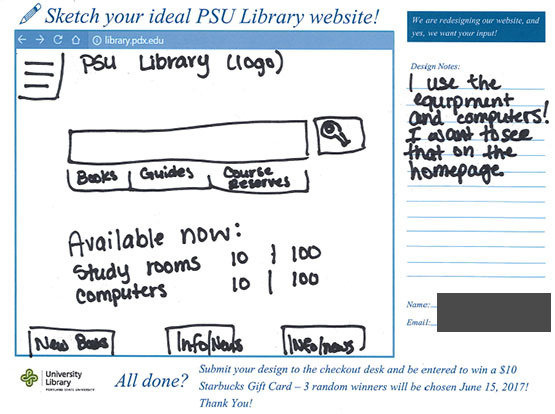 From now though June 14th, sketch your ideal PSU Library website and enter for a chance to win a $10 Starbucks gift card. Tell us what is most important to you! Randomly selected winners will be announced June 15th.